Welcome to Year 1 where we are continuing our exciting learning journey and building upon all that we learnt in Reception. 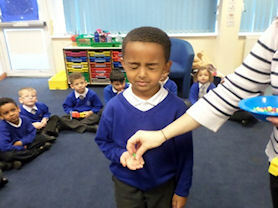 In Year 1 we know that 'Jesus loves me' and we always try to follow His example by living as Jesus wants us to live. We know it is important to always try our best by working hard, being happy and respectful to others and we always try to be a good friend to everyone. 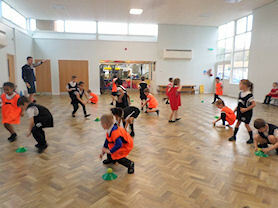 Every effort is made, especially in the first term, to provide a smooth transition from Reception class. 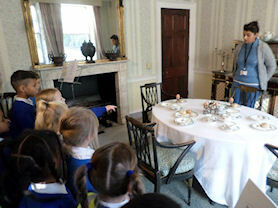 We gradually progress to become more independent to enable us to work through the Year 1 curriculum. Our classroom is bright and colourful with lots of displays to support our learning. 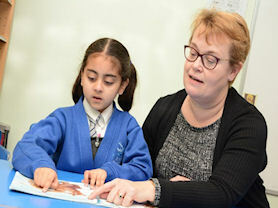 We usually have RE, Literacy, Phonics and Numeracy lessons in the morning and in the afternoon we enjoy Science, PE, Computing, History, Geography, Art, PSHE, Design Technology and Music – phew! Our teachers work with us to help us reach our full potential. Reading is an important skill and we invest a lot of time supporting our pupils. We love to get out and about to help us with our learning. We love our PE lessons! Can you guess what flavour sweet you have? 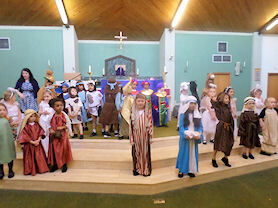 Our performance of the Nativity Story. Content and Images © 2004 - , St. Jude's Catholic Primary School. This version © 2014 Arrowscape.